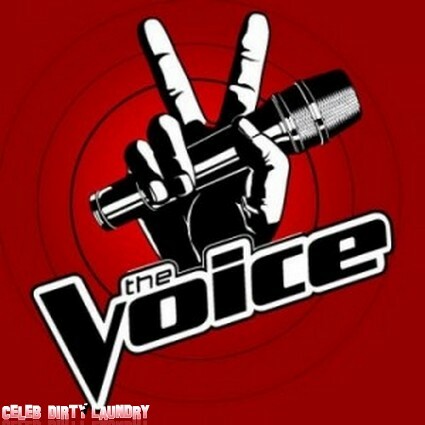 In just over two weeks one of the most anticipated shows of 2012 will hit the small screen – The Voice Season Two. Host Carson Daly has been talking up the talent show’s return making some pretty bold claims. He reckons it’s ‘going to redefine music on television and music in popular culture‘. I wonder what Simon Cowell would have to say about that! Carson recently took E! on a backstage tour of Stage 26 at Sony Pictures Studios in Culver City where the next superstar could be uncovered in a blind audition. He’s very proud to be able to call his stomping ground ‘the biggest stage in music television‘. That’ll come in handy given the four large egos the Judges – Christina Aguilera, Adam Levine, Cee Lo Green and Blake Shelton – bring to the show. The Voice is a three stage competition. The blind audition, the battle phase and then the live performance shows. There are plenty of big name mentors this time around. Alanis Morissette and Robin Thicke are on Team Adam. Kelly Clarkson and Miranda Lambert are on Team Blake. Kenny Edmonds and Ne-Yo are with Cee Lo…while …Team Christina will comprise of Jewel and Lionel Richie. The Voice Season Two will premiere on Sunday, February 5 on NBC straight after the Superbowl…and continue Monday nights.